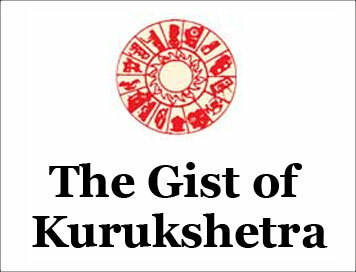 (The Gist of Kurukshetra) AYUSHMAN BHARAT: SILVER LINING IN HEALTH CARE [NOVEMBER-2018] | IAS EXAM PORTAL - India's Largest Community for UPSC Exam Aspirants. Interpreted in a literal sense, Ayushman Bharat is a promise for long lives to Indians. In other words, it is about mortality avoidance. But increasing life expectancies cannot be the only goal, if we also simultaneously cannot guarantee well being by minimizing morbidity. Our National Health Policy 2017 aptly articulates out goal as “attaining the highest possible level of health and well-being for all at ages, through preventive and promotive health care orientation in all developmental policies, and universal access to good quality health care services without any financial headship”. Ayushman Bharat, with its two components- Health & Wellness Centres (H&WCs) and PM Jan Arogya Yojana (PMJAY)- is an attempt to move from sectoral and segmented approach of health service delivery to a comprehensive system-based one . It undertakes path breaking interventions to holistically address health; adopting a continuum of care approach-addressing prevention, promotion, primary and ambulatory care; as well as secondary and tertiary care requiring hospitalized treatment. In the absence of a strong Government stewardship, the Indian Health System has evolved almost by default. As a consequence, it exhibits extreme fragmentation on multiple dimensions- financing, organization and regulation. This has a major impact on the quality of care as well as overall outcomes of the Health System. For instance, a whopping 67% share of the overall financing of our health system is in the from out of pocket Expenditure by the Households, mostly at the point of care. If we look at the organization of care providers, 95.3% of out private health facilities are small facilities employing less than five workers. Clearly, in a situation where an overwhelming proportion of health seeking occurs directly by the households from very small private providers on paper based prescriptions, it is virtually impossible to monitor or regulate the quality of such care provision. The Government facilities face a different set of challenges in ensuring quality of care: huge patient load, lack of accountability, absenteeism, management gaps and fixed salary based payment incentives. The current legal framework for regulation of medical service is under the Clinical Establishment Act, 2010, Drugs & Cosmetics Act, 1940 and the various Acts governing the profession such as Medical Council of India and other related professional councils. The weaknesses in out regulatory framework are well documented. For instance, The Clinical are well documented. For instance, The Clinical Establishment Act is yet to be adopted by many of the State Governments. Even where they have been adopted, implementation remains patchy. The MCI has been repeatedly hauled up by the Supreme Court as well as the Parliamentary Standing Committee on health and a legislation to replace MCI by a National Medical Commission. What is the likely impact of Ayushman Bharat? The accountability is further enforced through insistence upon compliance to empanelment norms in order to be registered as a provider with the respective NHA/SHA. Since the payers would be carrying out inspections of the health facilities against standardized checklists both at the empanelment stage and also during the operations stage, it would provide the necessary impetus to the provider to plug the gaps between their existing infrastructure, procedures and human resources and what is required of them by the payer. NHA is now in the process of developing Standard Treatment Guidelines (STGs). As and when the adherence to STGs is enforced, facilities will be obliged to follow the standard operating procedures rather than a free for all approach prevalent now. But the process of ensuring strict adherence needs to be gradual, so that the compliance burden on the empaneled providers does not become unmanageable. It is also quite evident that given the measurement and data challenges that India faces, the ability of the National and the States government to initiate the desired policy changes and to take appropriate action to improve quality of care is severely constrained. This has a serious deleterious effect upon the overall governance and accountability of the Health System. Another potential game changing impact of the Ayushman Bharat would be through the establishment of the Technology Platform and a common IT system to ensure availability of real time data pertaining to health system of course, subject to privacy constraints. Enormous amounts of data would now be instantaneously available for analysis to multiple researchers and enforcement authorities. This would give a serious boost to the quality movement in our health system, further the use of evidence in making policy decision and would enable pushing for behavioral change on the part of the providers.